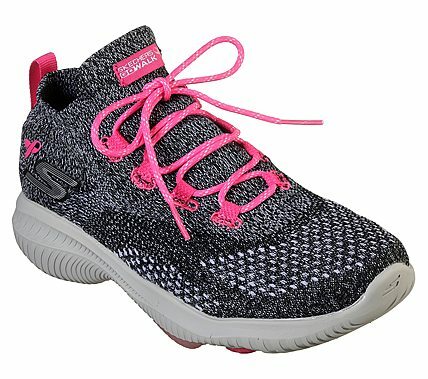 Walk to show your support for people affected by breast cancer in the fight against breast cancer with the Skechers GOwalk Revolution Ultra - Hope. Features lightweight, responsive ULTRA GO cushioning and high-rebound ULTRA PILLARS for the ultimate in walking comfort. Proprietary SOCKNIT360 knit upper for ultimate comfort.